Team Group introduced quad-channel DDR3 2600MHz kits, they are available in 8GB and 16GB capacities. Timings are 10-12-12-31 1T at a voltage of 1.65V. 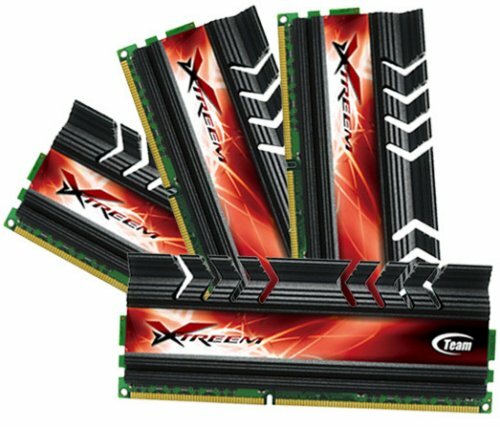 The global leading brand Team Group Inc. takes the lead again by launching the Xtreem LV DDR3 2600 Quad-Channel CL10 for top specification, yet again dropping another bomb in the of OC memory market. As its previous Xtreem LV DDR3 2400 CL9 has won overwhelming compliments, the company gets the chance again to bring out the upgraded Xtreem LV DDR3 2600 Quad-Channel CL10. This limited edition is by far the fastest and the only manufacturer to meet the extremely high standards of the 1T Command rate in the market. Its efficiency is 10% better than any other Quad-Channel memory. In addition, it supports the latest Intel X79 flagship platform and adopts the new Intel Core i7 premium processor Sandy Bridge-E (LGA-2011). The excellent stability and compatibility have passed strict tests to satisfy overclocking players’ needs all at once.